Foxconn, the Taiwan based manufacturer of Apple’s iOS devices, is apparently planning to invest $210 million in a new Apple production line according to China Daily (via 9to5Mac). The new production facility will be based in Huai’an city, China, according to the office of Taiwan Affairs. It is however not clear which Apple products are expected to be built in the plant, but construction will begin in October of this year. Last year, Foxconn opened a new plant in Brazil and a larger plant in Zhengzhou. The plant is expected to be relatively big in size, covering 40,000 square meters, with plans to hire 35,800 workers. However, it looks to be smaller than Foxconn’s other plants. When it comes to how much the plant plans to produce, the output from the plant is expected to be between $949 million to $1.1 billion yearly, according to the report. 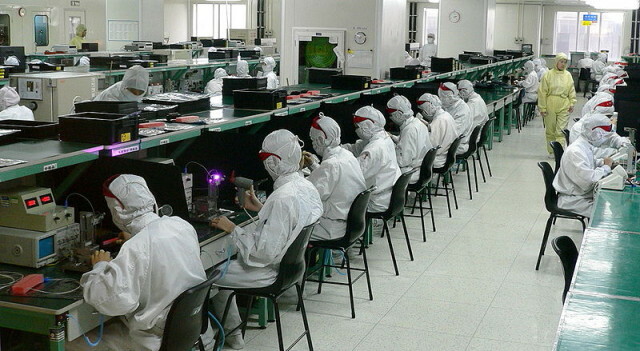 The sixth-generation iPhone is rumored to go into production in June will most likely take place in Foxconn’s main Shenzhen plant, where upwards of 200,000 workers currently work.